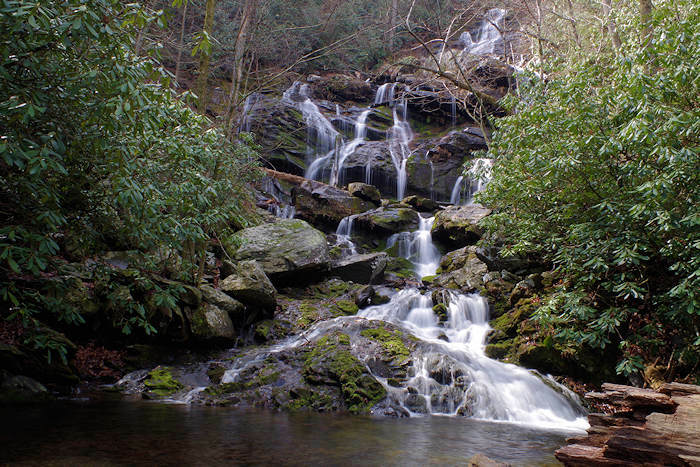 With steep cascades as far as the eye can see, Catawba Falls is one of WNC’s best examples of stunning waterfalls. The fairly gentle 1.5-mile climb to the falls runs alongside a stream and offers beautiful scenery the whole way. Plenty of still pools along the trail offer abundant opportunities for a mid-hike splash. Directions: From Asheville, take I-40 E to Old Fort Exit 73. Take a right onto Catawba River Road, after 3 miles, the road ends in the parking area for Catawba Falls. Hiking Moore Cove Frugal Backpacker Has Boats! !